Crafting With Passion: Last moments..
Now here is my first humble take on heat embossing. Do tell ur views crafters. Started off with a white CS, Stamped Hero arts background script stamp with versamark and clear embossed it with my new heat tool. Distressed with faded jeans n vintage photo. Now for the colouring part, stamped Hero arts wood mounted daisy with mustard seed DI and coloured it with Faber Castell Bi Colour pencils. Arranged the flower along with twine n satin ribbons. Hi Sujana, this is absolutely gorgeous!! wow totally gorgeous.. thanks for joining us at PINspired Challenges..
You are fab at doing explosion boxes Sujana !I loved the white n purple color combo n how you have the inside part !The embossed card look beautiful ! What a charming and sweet box, Sujana :) I love it. Hugs to you! Super cute explosion box Sujana!! sooo cute box it is ...loved ur neat n crisp folds n color combo......n ur emossed card is too pretty n cool. eerything is so well arranged on that card. Sujana your explosion box is gorgeous ..What I love most about your work always is how neatly finished it is plus you embellish it so well ..i really enjoyed checking out all the details of your explosion box and your beautiful embossed card ! Thank you so much for dropping by my blog and leaving me some love:) ...Regarding your question about how I did my BG I added the distress inks after I had done the stenciling with texture paste and let it dry ..Also I had added a little drop of lindy's spray to my texture paste so it could give a light pink color.Hope this is helpful ..sorry I am writing all this here but your's is a non reply comment so could not mail you the answer. amazing creation and great use of colors! Sujana, I came by to tell you how much I love your card with it's beautiful background and bright flower. I have been distracted by your AMAZING explosion box! Great work! Thank you for joining us at Dynamic Duos! Wow!!!!! That box is awesome! What an awesome idea to make it resemble a quilt. Just so cool! Beautiful panels on your explosion box! Wow Sujana, love the colours of the explosion box and the design as well! 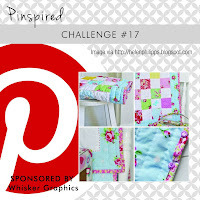 Thanks so much for playing along ItsyBitsy's Pretty 'P' Challenge. All the very best!